Thank you for choosing me to turn your pets into beautiful works of art! My name is Seann Vicente and I am currently living in Lewisville, North Carolina. I love my two dogs; a rough Collie named Link, and a white English Bull Terrier named Zelda. 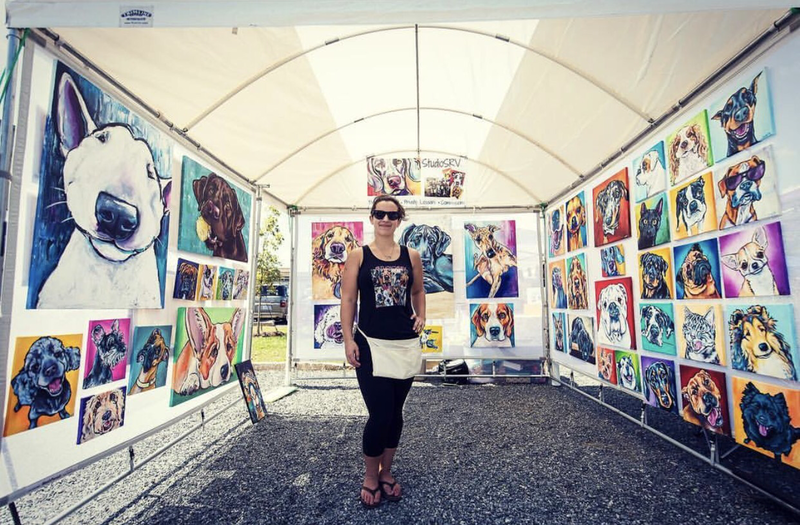 I have a passion for animals and art and that is reflected in my colorful portraits! Please email me anytime with any questions you may have about getting your pet (furry, fuzzy, scaly, feathered or otherwise!) painted for you! Private lessons and paint parties are also now available! Please email me for details! !